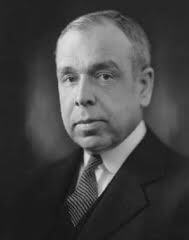 On Tuesday of last week Dr. Machen sat in my office and told me his hopes and his plans concerning that theological institution which he himself founded, Westminster Theological Seminary. And then I had a telegram from the hospital in Bismark saying he was very ill, followed up by another bulletin, and then the information that he had passed away. I said to myself, “A prince has fallen in Israel.” What Dr. J. Gresham Machen’s death will mean to the thousands of Bible-believing Christians throughout the world is hard to tell. I do not hesitate to say that he was the world’s greatest New Testament scholar, and those who attempted to answer him were thrown back like waves that beat against an eternal rock. He was the greatest champion of the Reformed Faith in the world. By the Reformed Faith — I will put it in words that you will understand and I will understand better than that theological phrase — he was the world’s greatest champion of the old-fashioned, evangelical religion. He believed in the eternal purposes of God; he believed that God came down to earth to save the world; he believed in the bodily resurrection of the believer; he believed in the inerrant Bible; and he stood for those things through thick and thin, through the storms of persecution and amid the great efforts that were made to stop him. I believe Dr. Machen was also a man, as he would have to be, of intense convictions and wonderful courage. I remember after he had had a great setback in his convictions I met him and I expected to find him sunk, as it were as I was myself, and instead I found him bubbling over with triumph. I said to him, “I don’t see how you can feel this way.” “Well,” he said, “the Lord reigneth, let the earth rejoice”; and that was the underlying philosophy of his life. Then, Dr. Machen was a humble Christian. I do not know any man that I have ever known that was as truly humble before his God as he was. He was a man of principle, of course he was a man of intense Bible study. He was a man who gave his heart wholly and unreservedly to the Lord Jesus Christ.